This month alone, three threequels—ranging from massive blockbusters to an intimate indie film—will make their way into theaters: Iron Man 3, The Hangover Part III and Before Midnight. In celebration of this unique opportunity, this list will shine a light on some of the greatest examples of the movie threequel. Including the Red Riding trilogy is a bit of a cheat considering that the films were not released theatrically but rather aired on Britain’s Channel 4. Yet, these three films—each starring a different cast of characters, set in a different time period, directed by different filmmakers and shot on different film stocks—represent a major achievement in modern-day filmmaking. I dare say—to put it in television terms—it’s perhaps the closest that British TV has come to creating their own version of The Wire. Besides a few characters who overlap heavily between films, the strand connecting the entries is a series of brutal murders that take place in a West Yorkshire town. With each new film, the web of lies and cover-ups that snake their way throughout the halls of power becomes more and more pronounced. Needless to say, the films are not easy viewing (or easy listening for that matter, with many scenes necessitating the subtitle button for non-British viewers). While the first two films examine the cyclical failure of justice, Red Riding 1983—the final entry— explores the concept of redemption. Without giving anything away, the series ends on graceful note of hope, indicating that—no matter how brutal and corrupted things can get—there will always be good people trying to do the right thing. 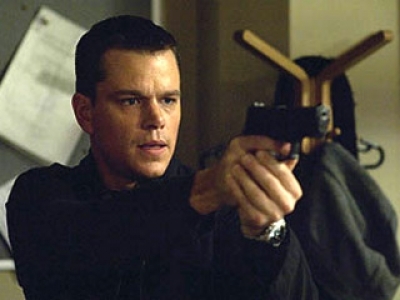 That Bourne Ultimatum turned out as great as it did is nothing short of a miracle given the film’s nightmarish production. Though The Bourne Supremacy proved to be a phenomenal international success both critically and commercially, the production left a deep rift between director Paul Greengrass and screenwriter Tony Gilroy. Reportedly, Gilroy was set to leave the Bourne franchise for good, until Greengrass was unable to deliver a script for the third film on time, leading the studios to pay Gilroy a sizable sum to turn in a draft. The result, according to a GQ interview with Damon in 2012, was an unreadable mess. To add to the drama, Greengrass’ tendency for approaching his films with a more improvisational, guerrilla-style mentality meant that several sequences were filmed on the fly without the support of a locked script. In a turn of events that confirms the age-old adage that a film is made twice—once on set and once in the editing room—editor Christopher Rouse managed to shuffle through the mess and put together what became a phenomenal coda to the saga of Jason Bourne. The industry, for its part, seemed to recognize Rouse’s work, awarding him that year’s Academy Award for Best Editing along with trophies for the crew behind the film’s sound mixing and sound editing process. Towards the conclusion of 1999’s Toy Story 2, villain Stinky Pete asks Woody the Cowboy what he’ll do when Andy, their owner, grows up and no longer wants his toys. At the time, Woody did not have a definite answer for the duplicitous prospector. 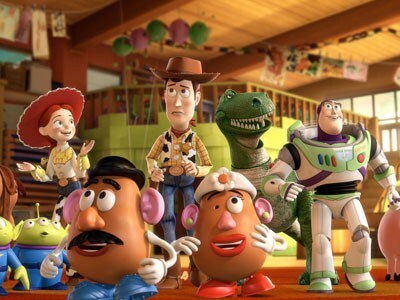 And the Pixar team could have left it there—ending on a an optimistic image of the toys mutually agreeing that they can’t stop Andy from growing, but they can enjoy the time they have left. Instead, 11 years later, John Lasseter and Co. actually made an entire movie exploring that exact question. Boasting both gut-busting laughs (Mr. Potato Head as a flour tortilla) and questionably intense drama (the toys being lowered into a fiery pit of death), this third Toy Story adventure was treated as an unequivocal success. Story-wise, the film is not horribly original, taking its escape plotline almost beat for beat from the second film. Yet, for any audience member who had grown up with Woody, Buzz and the gang, it was all about those last five minutes—when a college-bound Andy plays with his childhood toys for the last time. It’s the film that would make you believe a jaded teenager could cry. Let’s get this out of the way—yes, the Ewoks are kind of silly. Excluding those cuddly marketing tools, however, Return of the Jedi has so much more to offer than simply the image of Carrie Fisher in a steel, gold bikini. Director Richard Marquand (the only non-American Star Wars director to date) fills the two-plus hour conclusion (or so we thought) to the Star Wars trilogy with countless memorable action sequences, whether it’s Luke’s fight with the Rancor, the battle to escape Jaba’s palace or the speeder bike chase through the forest moon of Endor. It all boils down, however, to the final confrontation between Luke, Darth Vadar and Emperor Palpatine (played with slimy grace by the incredible Ian McDiarmid). The sequence quietly simmers until it reaches an emotional crescendo where supervillain Darth Vadar finally remembers his humanity. 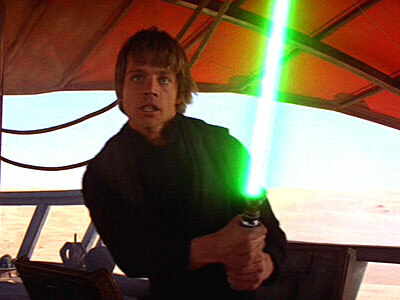 Furthermore, the scene where Luke manages to finally look his father in the eyes for the first (and last) time remains one of the most powerful in the trilogy’s history. While critical fans may yammer about the ease in which the Republic is defeated by the Ewoks or bemoan the fact that no notable characters (presumably, Han) died, one has to keep things in perspective. In an age where threequels have given us the likes of Superman 3, Spider-Man 3 and , I will gladly take a happy ending and Ewoks over this. Before Midnight concludes one of cinema’s great trilogies—assuming it stays a trilogy. Nine years from now, director Richard Linklater and stars Julie Delpy and Ethan Hawke could well revisit their characters from 1995’s Before Sunrise. But as it stands, they have built a beautiful study of life and love, each chapter of which stands on its own while adding emotional resonance to the other two. 2004’s Before Sunset saw Jesse and Celine re-connect in Paris for the first time since their magical night in Vienna, searching again for that rare, deep connection between two humans. Before Midnight spends another day with the characters, this time in Greece, but things are a little different. While they are still extremely connected to one another, additional people also command their attention and somewhat limit their personal time together. Red would turn out to be Krzysztof Kie?lowski’s final film. Whether the Polish director knew he was near death’s door while he was filming the final portion of his Three Colors trilogy is not known. In any case, it’s hard to picture a better final film to bow out with. The idea surrounding Kie?lowski’s Three Colors was to make three films, each based around one of the three political ideals represented in the French flag: blue (liberty), white (equality) and red (fraternity). Often, the films would be structured as a means of undermining the very notion that the colors represent, with characters from different films making a random, happenstance occurrence in each other’s stories. Red is often dubbed the “anti-romance” segment of the trilogy and for good reason. The film centers on the relationship between a naïve young model and a reclusive middle-aged man who spends his day listening in to his neighbor’s telephone conversations. Simultaneously, we follow the story of a young law student who comes to believe his girlfriend is cheating on him. Hardly the passionate romantic romp that the title implies. That’s not to say the film is hard to watch. On the contrary, it’s simply mesmerizing. Like Kie?lowski’s best work—The Double Life of Veronique or The Decalogue—the beauty of the story comes not necessarily in what happens but how Kie?lowski deftly structures the execution. 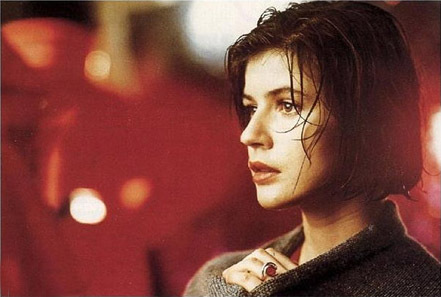 And while watching the previous entries in the trilogy, Blue and White, are not necessary to understanding Red, having viewed the two gives the film’s final minutes a powerful kicker. After the mindfreak that was Indiana Jones and the Temple Doom left a (literal and figurative) bad taste in audiences’ mouths (creating the PG-13 rating in the process), Steven Spielberg and his collaborators went back to the drawing board, crafting a film that would retain the simpler tone of Raiders of the Lost Ark without feeling like a rehash of that Oscar-nominated adventure. After filing through several different pitches and drafts (Spielberg even admitted at one point he felt he was “too old” for some of the stories), Spielberg and producer/writer George Lucas settled on a story about the search for The Holy Grail. 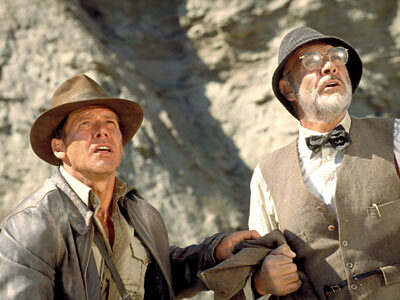 Spielberg’s stroke of genius, however, was not only his decision to incorporate Indiana’s Jones estranged father into the plotline but to cast Sean Connery to fill the role. The dramatic dynamic between father and son lends the film an emotional heft that is noticeably absent from the more lightweight Raiders. In this way, one could perhaps even hold up Last Crusade as the superior story (emphasis on “perhaps”). Plus, as an added bonus, the film offers a prologue featuring the late, great River Phoenix as a young Indiana Jones. That right there is a major point in the film’s favor. 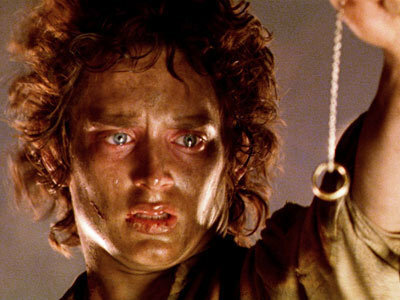 The Return of the King’s place on the list depends entirely on whether you actually see the Rings series as an actual trilogy or merely a 13-plus-hour single movie. For the sake of simplicity, I lean towards the former. In any case, there’s little I can say about the film that its record-breaking box-office, 11 Academy Awards and legions of rapid fans have not already outlined. So, just to give you an idea of how much I regard this final entry in Peter Jackson’s film series, here’s a personal detail. In the decade since this film has been released, I have only seen it twice. Once, in the theater at the time of its release and again in the summer of 2011 when the films were re-released in theaters (presumably, to help hype audiences up for The Hobbit). The reason? I refuse to have my experience of the film be hampered by seeing it on anything less than the biggest screen available. I just like it that much. Before he made Ryan Gosling look awesome behind the wheel in Drive, before he cast future Hannibal star Mads Mikkelsen as a badass, mute Viking in Valhalla Rising, before he helped Tom Hardy go from a trim figure to a juggernaut of a man in Bronson, Danish director Nicholas Winding Refn made his presence on the world’s stage with one of the best movie trilogies of all time: the Pusher Trilogy. Set in the dirty, underground crime world of Copenhagen, each entry in the Pusher series follows a different character as they attempt to navigate the deadly minefield of their environment and avoid ending up on the wrong side of a gun. 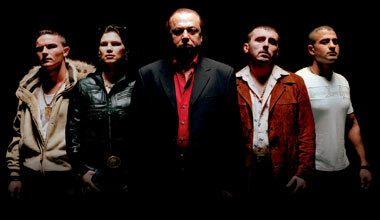 The final installment spans a day in the life of a Serbian drug lord named Milo. Having been feared and respected by many across the first two films, Milo now finds his authority and power waning. His fall serves as an excellent illustration of the film’s crime-infested setting, where concepts like structure or order are pithy and fleeting. 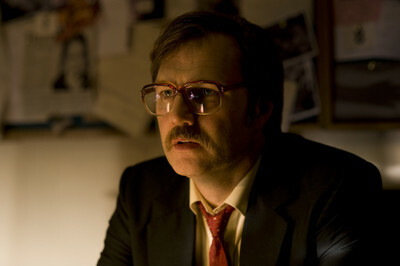 Refn may have moved on to more high-profile gigs, but Pusher remains a defining cornerstone of his career. It’s a trilogy as profound as it is entertaining. Director Sergio Leone and star Clint Eastwood hit the ground running with their first collaboration A Fistful of Dollars, which took a Western interpretation of Akira Kurosawa’s samurai film Yojimbo. 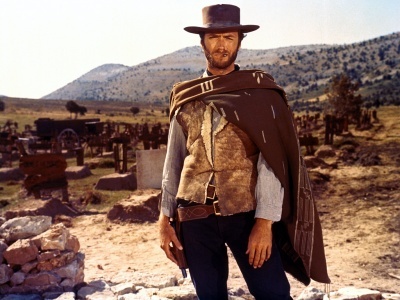 Following the adventures of Eastwood’s Man With No Name, the Dollars trilogy continued on through 1965’s For a Few Dollars More and, finally, to 1966’s The Good, The Bad and The Ugly. Often branded as Leone’s magnum opus, The Good, The Bad and The Ugly centers on three different gunslingers—Eastwood included—competing to seize control of an abandoned collection of Confederate gold. The film highlights many of the techniques that made Leone a legendary figure in the filmmaking world— from his crisp depth of field, to his expertly edited battle scenes to, of course, his use of long, lingering shots to ramp up the tension for an upcoming duel. Augmented by Ennio Morricone’s bombastically brilliant score, the film acts as a sort of quasi-opera of violence and mayhem in the Civil War-torn America. While certain elements call the continuity of the trilogy into question (the casting of Lee Van Cleef as “The Bad” is a bit disingenuous considering he played a more noble character in For a Few Dollars More), the film remains a testament to how a threequel, with a healthy does of talent, ambition and ingenuity, can both buck the trend and make film history at the same time.